George recruits for engineering and IT professionals across the UK for a range of industry sectors including chemical manufacturing, medical devices, pharmaceutical, FMCG and life sciences. Steve Lord is a Principal Consultant and specialises in clinical research and drug safety based IT roles. Julie Marshall is a Senior Account Manager where she solely focuses on recruitment and management of the key pharmaceutical accounts ensuring that CK provides a consistently high level of customer service to these. Natasha Young recruits for automation, validation and IT business support roles across the life science and pharmaceutical sectors. Heather Deagle is a Senior Consultant who she focusses on servicing the recruitment needs of global pharmaceutical organisations with sites across the UK and Europe. Kate Edwards is a Key Account Executive for the Key Account Management Team where she is responsible for recruiting and sourcing candidates for all large pharmaceutical organisations in the UK and Europe. Jennifer Woolley recruits for the Key Account Management Recruitment team, recruiting for a number of global pharmaceutical organisations. Lucy Stendall recruits for the Key Account Management Recruitment Team and as such, she supports the contract and temporary recruitment programs for a number of global pharmaceutical organisations. Victoria Walker is the Manager at CK Technical and also specialises in senior permanent technical recruitment for chemical manufacturing, waste, environmental, metals and mining etc. 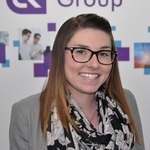 Jade Mosley is a specialist Recruitment Consultant at CK Technical and she specialises in temporary engineering and IT recruitment for Scotland and the North East of the UK. Sarah Farrow is based in the Durham office and specialises in engineering and IT roles across all the scientific industries in the North East of England and Scotland. Graeme Pallas specialises in contract recruitment across all the scientific industries in Scotland and the North East of England. Ashley Kirk is the founder of the CK Group, he also founded the company in 1991. As the Finance Director he is responsible for the all financial areas within the organisation. 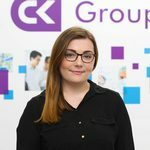 Joanne Newbould is a Key Account Manager for CK Group where she is responsible for ensuring CK provides a consistently high level of customer service for their leading clients. Jonathan Hart-Smith is the Managing Director of the CK Group and as such is responsible for the growth of the CK Group through existing business streams and the development of new business functions. Lorna Crombie is the Quality Improvement Director, as such Lorna manages the company quality management system ensuring all business processes and procedures comply with the ISO 9001 standards.